the freezer for a more crispy taste later in the day. 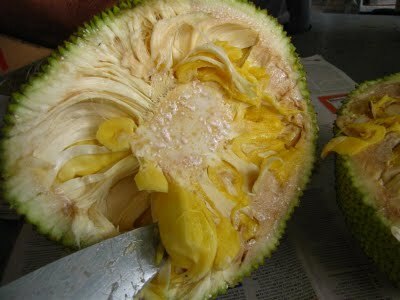 The frozen arils are very yummy indeed, they have all the flavour of the fresh fruit but the texture is quite different. They would be scrumptious in a milkshake. For those who wouldn't eat it, I recommend cooking the jackfruit arils. Bake them in the oven at about 180 degrees for around 15 minutes (checking often). The texture should be soft. 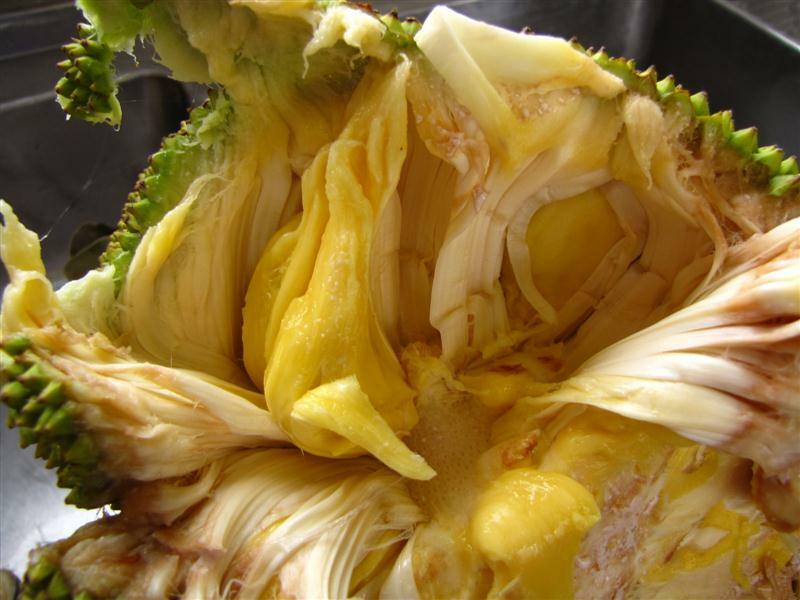 Once you try jackfruit this way, you'll be addicted. 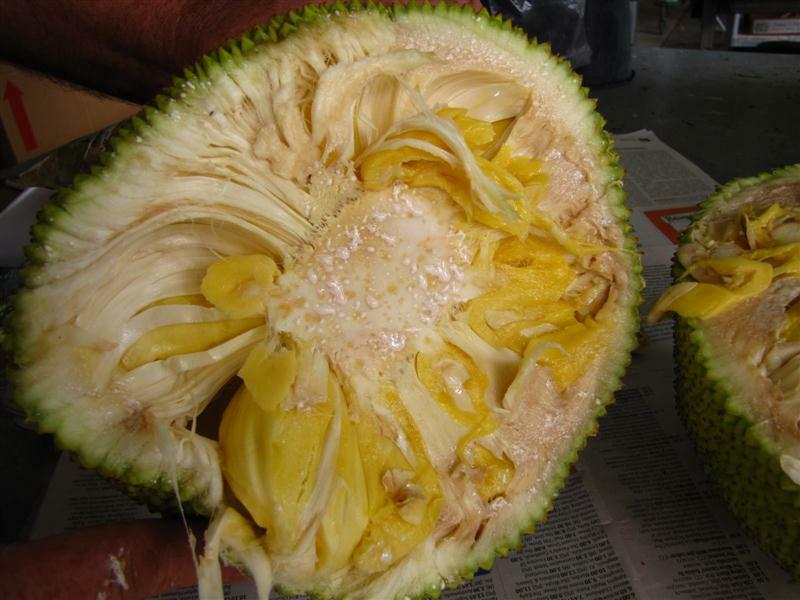 The jackfruit harbours a lot of pectin which is very useful in jam making.